The Shogun Sport will be of great appeal to a pretty specific group of customers. It’s not brilliant to drive, and the interior quality isn’t fantastic either. 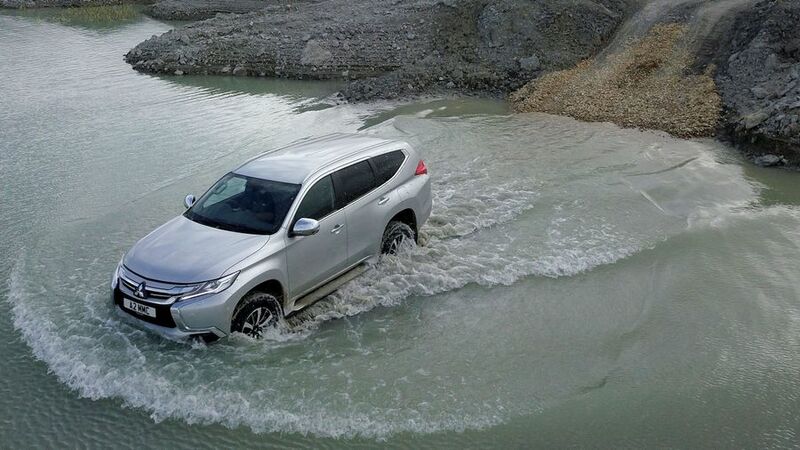 But its off-road capabilities are excellent, and it’s a genuine seven-seater with plenty of space inside. If either of those criteria are important to you then it’s well worth checking out, but in other areas, there are rival cars that will perform better. Interested in buying a Mitsubishi Shogun Sport? Looks are always subjective, but Mitsubishi has done a decent job of disguising the Shogun Sport’s bulk through some clever design. The looks certainly stand out from the crowd, and we’ll leave it to you to decide whether that’s a good thing or not. The front and rear bumpers are kept high to leave ground clearance for off-roading. Two versions of the SUV are available, called the Shogun Sport 3 and the Shogun Sport 4. Both ride on 18-inch alloy wheels with chunky tyres and have LED headlights and daytime running lights, as well as tinted glass. The 4 gets headlight washers as well, but otherwise its extra toys are found inside, rather than outside. More on that later. The interior of the Shogun Sport shows off its rather utilitarian, agricultural credentials. The plastics are hard, and although they stop short of feeling brittle, there’s no premium pretence here. The front seats in all versions are adjusted electrically, but taller drivers may find that they don’t go low enough, leaving them staring down at the bonnet rather than the road ahead. Still, they’re comfortable enough. 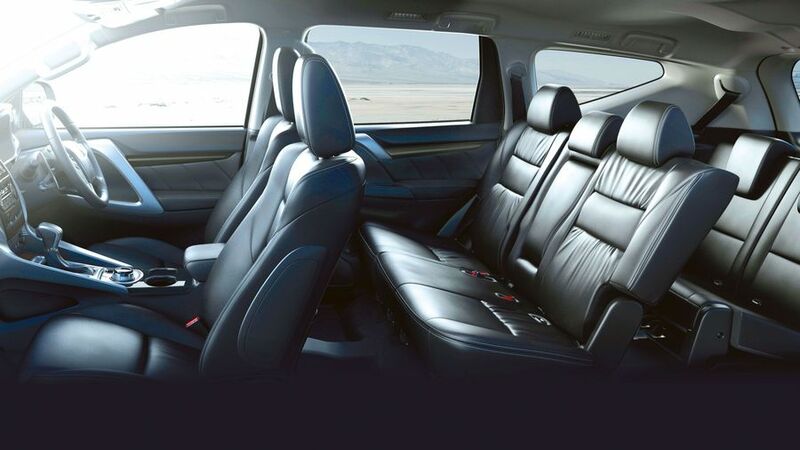 Larger adults in the second row may notice that a cut out at the side of the outer seats – put in to help make folding them down easier – leads to a lack of lateral support. 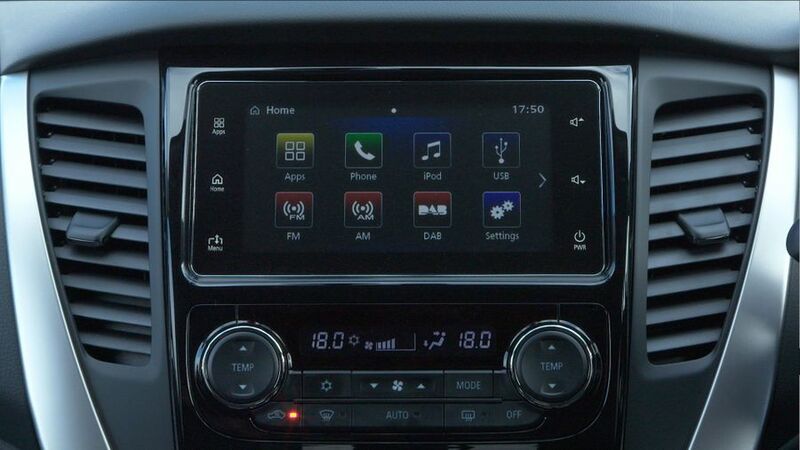 The infotainment system is basic, and doesn’t include sat-nav, but does include Apple Car Play and Android Auto, which means you can connect your smartphone and use the relevant maps app to find your way around, using directions on the car’s touchscreen. One thing to note is that the stalk for the indicators is on the right, and the windscreen wiper operation is via the stalk on the left, which is unusual. We found ourselves inadvertently cleaning the windows while cornering on several occasions. It’s something customers will soon adapt to, as long as you’re not regularly jumping between different cars. The Shogun’s interior party piece is its space for seven occupants, which is impressive. A third row of seats will fit two adults without too many problems, and legroom in the second row is good too. This is a step up from several of the Shogun’s rivals, which feature third row seats barely big enough for children. The rear-most seats can fold away to increase boot space, although the process can be a bit jigsaw-like at first, as you have to do things in a certain order. 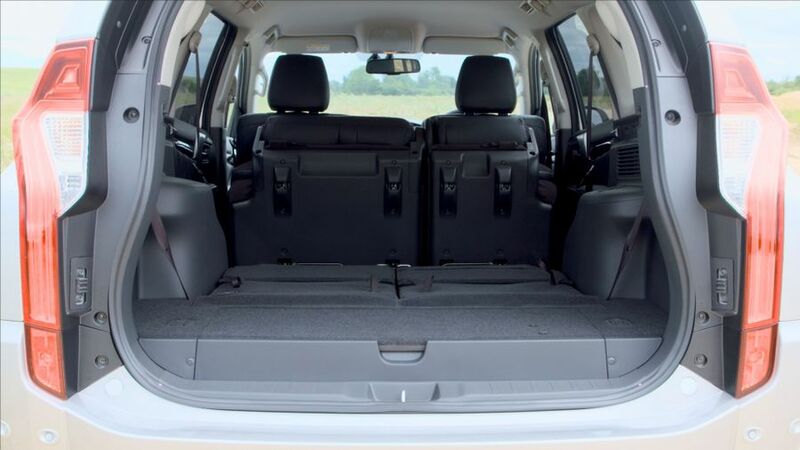 Fold all five rear seats away and you get a basically-flat load space to carry larger items around. With them up, though, there’s not a huge amount of luggage space left. 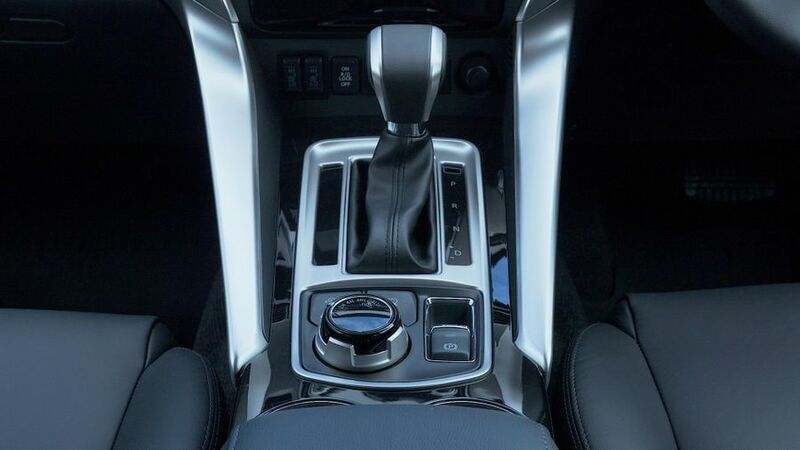 Up front, there are two good-sized cupholders but no storage cubbyhole in the centre console. The door pockets are a good size, and if you fold down the centre armrest in the second row, you’ll find more cupholders. If you’re going off-road, it’s really rather impressive. Mitsubishi has a long history of expertise in four-wheel drive, and the Shogun Sport comes equipped with plenty of mechanical and digital features to help you traverse some serious terrain. Two locking differentials, good approach and departure angles, 700mm of wading capability and a low ratio gearbox will all be music to the ears of die-hard off-roaders. The muddy paddock of the local pony club will hold no fear, and nor will the prospect of towing a horsebox, thanks to a 3.1-tonne towing capacity. On-road, it’s more… agricultural. The suspension takes the sting out of bumps in the road, but you’ll be well aware that they’re there. The steering is vague with little feedback through the wheel, and there’s quite a bit of body roll through the bends. In short, there are much better handling SUVs on the market than this. 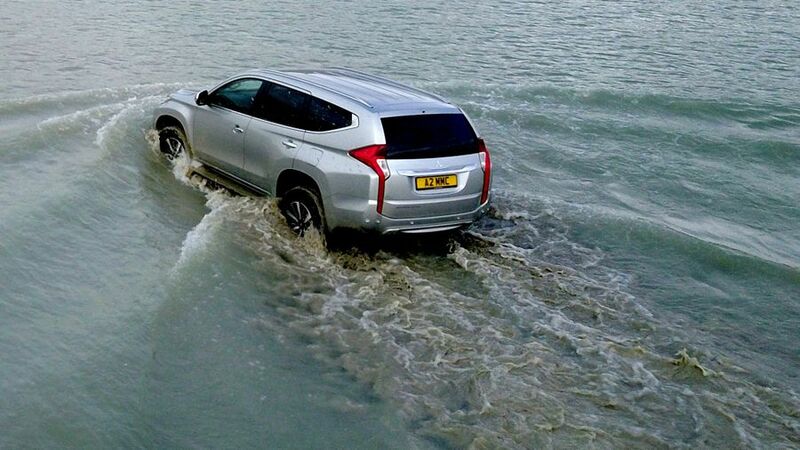 There’s just one choice of engine in the Shogun Sport, and it’s a 2.4-litre turbodiesel with 131 horsepower. On the plus side, it’s got plenty of grunt – 430Nm of torque – to haul you up hills, even with the car fully loaded, and it can tow up to 3.1 tonnes. 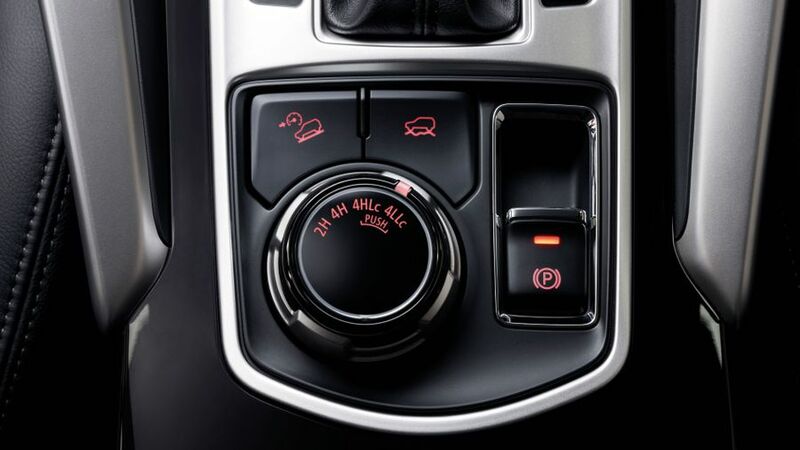 The eight-speed automatic gearbox is unobtrusive, as long as you leave it in automatic mode; we wouldn’t bother using the manual paddle shifters. However, compared to a lot of its rivals, the engine is noisy and unrefined, and it’s pretty thirsty on fuel too. 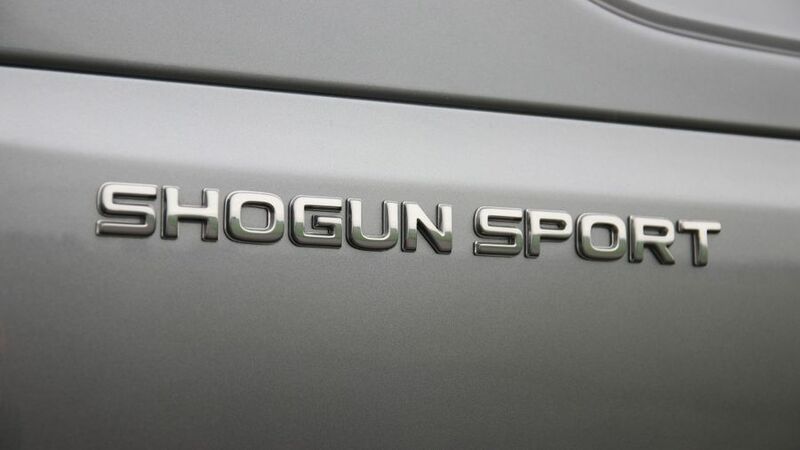 The Shogun Sport is targeting cars like SsangYong’s Rexton and even the seven-seat Land Rover Discovery Sport, but it lags slightly behind when it comes to the financial case. The Land Rover’s much better fuel economy means it’ll cost less overall to run, despite a higher purchase price, while the SsangYong is cheaper to buy than the Mitsubishi and will also deliver more miles per gallon. 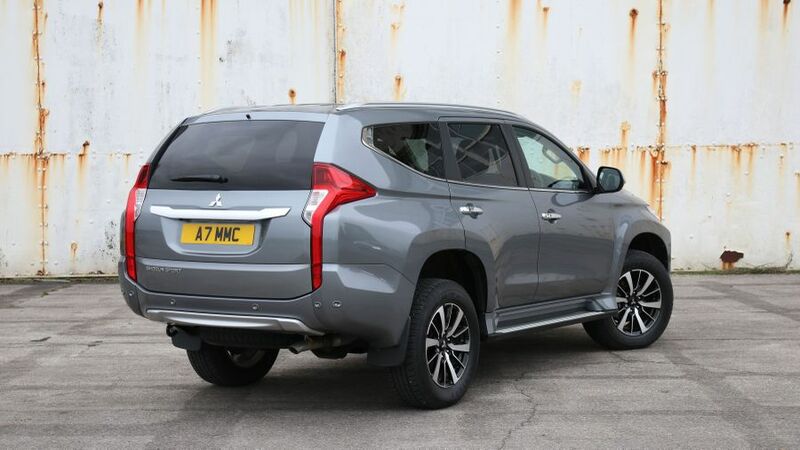 You can expect service, maintenance and repair costs, as well as insurance, to be quite high in the Mitsubishi too, although reasonable resale values will help offset that a bit. Overall, it’s not a financial nightmare, but neither do the running costs make for a compelling reason to buy a Shogun Sport. 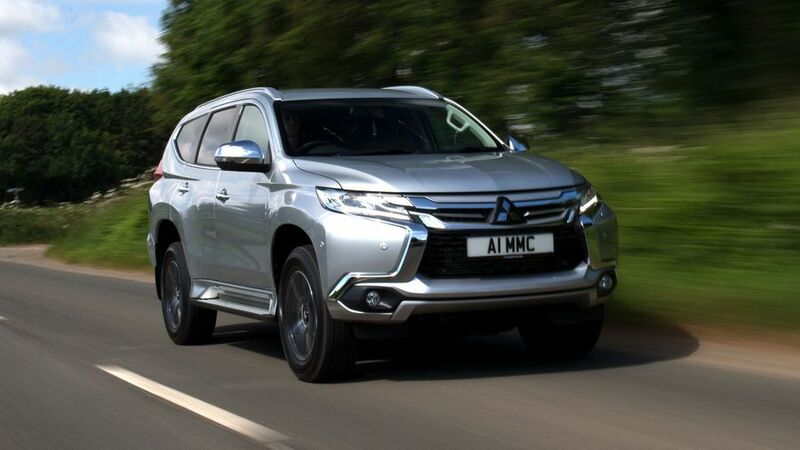 Mitsubishi has a middling reputation when it comes to reliability as a brand, sitting mid-table in Warranty Direct’s Reliability Index, which ranks the main manufacturers. JD Power’s 2018 Vehicle Dependability Study puts them in the bottom half, below the industry average score. However, the Shogun Sport is based on many of the same mechanicals as the L200 pick-up truck, and it uses the same engine too, which mean it’s well proven in some very rugged environments. We wouldn’t be overly concerned about major problems. Should anything go wrong, Mitsubishi offers a decent five-year, 62,500-mile warranty. The Shogun Sport hasn’t been crash tested by Euro NCAP, although the L200 pick-up truck, which shares many mechanical similarities, scored four out of five stars when tested back in 2015. The top-level Shogun Sport 4 has Forward Collision Mitigation, which is an automatic emergency braking system that will intervene if you fail to react to an impending accident. It also comes with a blind-spot warning system, and a system that stops you accidentally crashing into walls should you hit the accelerator rather than the brake at low speeds. However, these features aren’t standard on the lower-priced Shogun Sport 3, which does include Trailer Stability Assist for towing. There are two Isofox child seat mounting points on the second row of seats, and seven airbags. Both versions of the Shogun Sport are relatively well equipped. 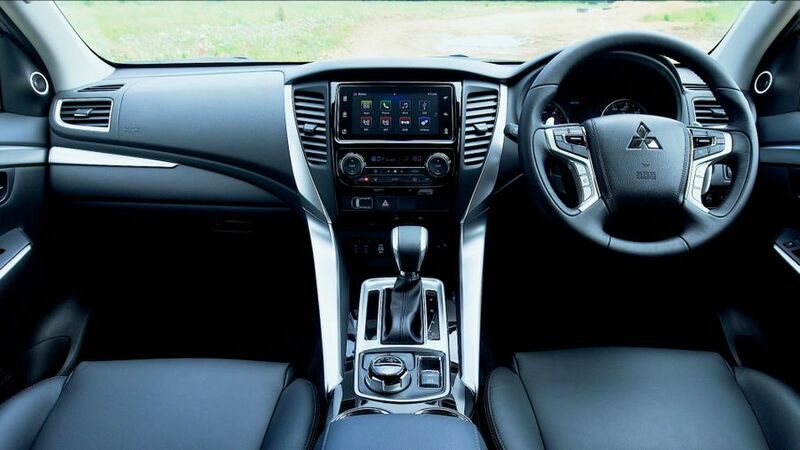 The Shogun Sport 3 includes dual zone climate control, a reversing camera and parking sensors and keyless entry and start, while the 4 trim adds heated front seats, an upgraded sound system and a 360-degree camera, as well as the extra safety kit mentioned above. At only a couple of grand extra, Mitsubishi expects most customers to opt for the more expensive model. We reckon it’s worth it for the safety aspect, if nothing else. If you need a workhorse to deal with some strenuous tasks, or you’ll be tackling some serious off-road terrain, then the Shogun Sport should cope very well. But if your requirements are less rugged, then there are better options out there.